Originally shared on Facebook here. Posted to Peaceful Parenting with author's permission. I've heard it before, you know. That I "spoil that baby." You were convinced that she'd never learn to be "independent." I smiled at you, kissed her head, and continued my shopping. If you only knew what her face looked like the moment her orphanage caregiver handed her to me to cradle for the very first time -- fleeting moments of serenity, commingled with sheer terror. No one had ever held her that way before, and she had no idea what she was supposed to do. If you only knew that she would lay in her crib after waking and never cry -- because up until now, no one would respond. If you only knew that that baby in our carrier is heartbreakingly "independent" -- and how we will spend minutes, hours, days, weeks, months, and years trying to override the part of her brain that screams "trauma" and "not safe." If you only knew that that baby now whimpers when she's put down instead of when she is picked up. If you only knew that that baby now "sings" at the top of her lungs in the mornings and after her nap, because she knows that her chatter will bring someone to lift her out of her crib and change her diaper. If you only knew that that baby now rocks to sleep in her Mama's or her Papa's arms instead of rocking herself. 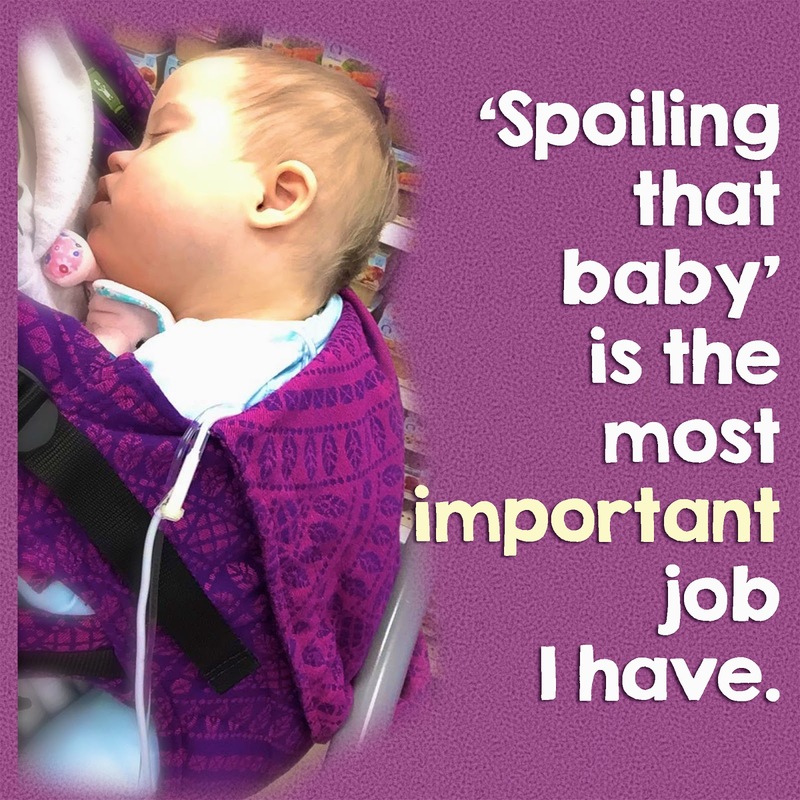 "Spoiling that baby" is the most important job I will ever have, and it is a privilege. I will carry her for a little while longer -- or as long as she'll let me -- because she is learning that she is safe.